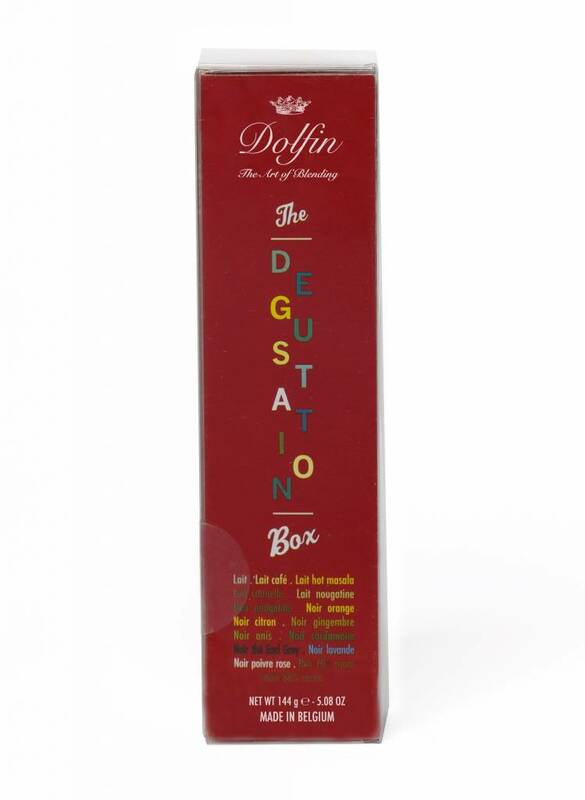 True to its creative spirit, Dolfin came up with the gourmet squares, a combination of many colourful flavours. The gourmet square is impressive because it is very difficult to make: the slimness of the chocolate means that the choice of ingredients has to be perfect in terms of size and flavour content. Enjoy a square, with something to drink, with a dessert, or just on its own. 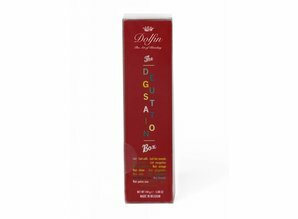 Now the entire range of Dolfin flavors (16 x 2) comes in an original and innovative case. The perfect gift for the serious chocolate lover. milk, milk with coffee, milk with cinnamon, milk with masala, milk with nougatine, dark 70% cocoa, dark 88% cocoa, dark with aniseed, dark with cardamom, dark with Earl Grey tea, dark with ginger, dark with nougatine, dark with pink peppercorns, dark with lemon peel, dark with orange peel, dark with lavender. CO2 neutral. May contain traces of nuts and dried fruit. Assortment of 24 gourmet squares with a variety of innovative flavors. An exceptional gift for the chocolate novice or the experimenting connoisseur. Made in Belgium! 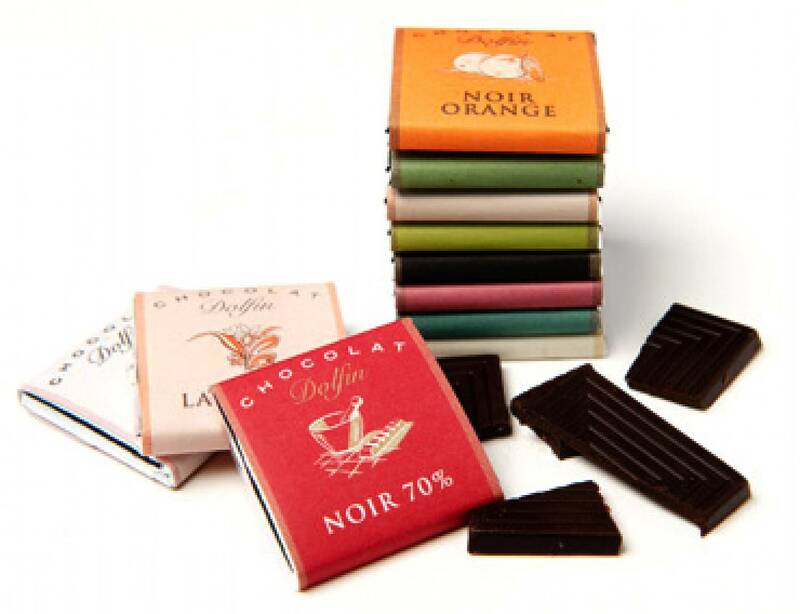 Nostalgic box with 36 dark chocolate Neapolitans (5 gr) in 5 different flavours. These individually wrapped chocolate squares can cross any trend or border. Today they are "trendy", tomorrow they will remain your espresso's faithful companion.